It is not all work and no play here at Waterman. Our teams have social events committees in every office and regularly participate in various charity events throughout the year. 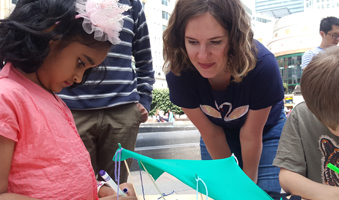 Waterman are working alongside London-based charity XLP to support the younger generation by providing the opportunity to learn and develop their potential through our latest Interview Skills Workshop on 31 January 2019. 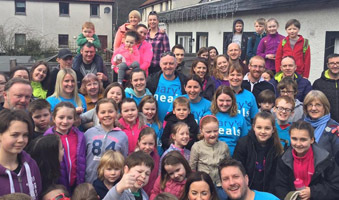 Ben Steele, Waterman’s Regional Director for Infrastructure & Environment in Glasgow, and his wife Caroline have been raising money for Mary’s Meals. 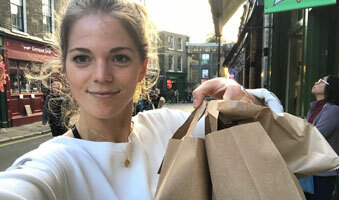 Milly Bowen, an Environmental Consultant in our London office, has been using the food sharing platform, OLIO, to help prevent surplus food being thrown away. 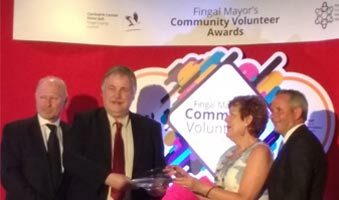 Our Kieran O’Neill in Dublin who has won in the Community Facilities Category as well as the overall Fingal Mayor’s Community Volunteer Award for his contributions to Castleknock Community Centre. 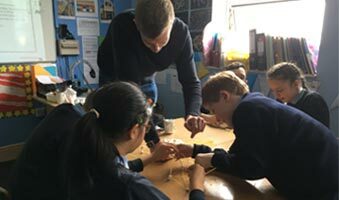 On 18th April, we had the pleasure of visiting Scoil Mhuire Gan Smál school in Dublin to give their year five pupils an insight into a career in Engineering. 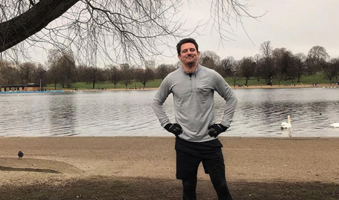 In 2011, Daniel Piper, a Structural Engineer in our London office, became critically ill, days away from slipping into a potentially fatal diabetic coma. 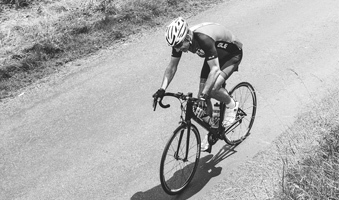 Since being diagnosed as a Type 1 Diabetic he has turned his life around for the better. 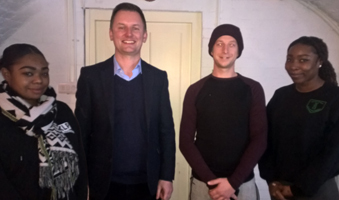 Jonathan Purcell, a director of our Building Services team in Nottingham, has teamed up with Legal & General Real Assets and 150 professionals to cycle the 1,500km from London to Cannes. 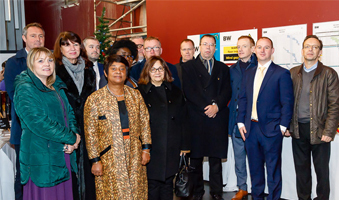 We are supporting Stephen Lawrence Charitable Trust to develop an exciting new space as a memorial of Stephen’s aspirations in Deptford, South London. 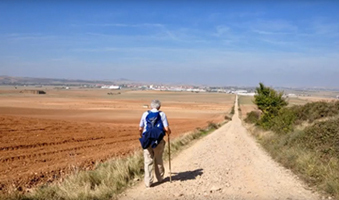 Ric Piper, our Non-Executive Director, took on one of the most impressive challenges on 19th September, a 34 day walk known as the Camino which is one of the most popular pilgrimages in the world. 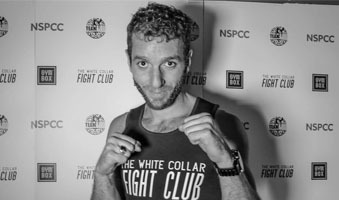 Tamer Sonay, a Senior Public Health Engineer in our London office, took on the ultimate challenge when he joined combat experts Gymbox and Team Tieu for The White Collar Fight Club in aid of NSPCC. 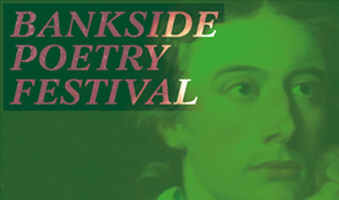 We were delighted to have sponsored the Bankside Poetry Festival last week which saw three well-known poets marking the great creative surge of the famous Romantic poet and physician, John Keats, in his final years.